HomeWhen is an Assassin not an Assassin? But is Odyssey an Assassin’s Creed game other than in name? While the series has always had a ‘stealth is optional’ approach, the games have always been about a lone assassin taking on the world in an eternal war. The hoods and the hidden blades are truly iconic and the pseudo philosophy that the games try to cloak themselves in is interesting. From watching the E3 reveal trailer, none of this is really present. The setting is ancient Greece, and while we saw great tiered cities, most of the trailer showed off rugged landscapes. There was almost no climbing at all demonstrated. The combat looked refined but there was no hint of any actual assassinations. We saw a hood for a brief second but there was no sign at all of the beloved hidden blade. Open land and open combat. And why would there be? The protagonist is a Spartan prince/princess. You know the Spartans right, not Master Chief, but the musclemen of 300. The renown warriors who believed in strength, honour and glory above all. Return home as a victor or return on your shield. Yeah, those guys. Now, I’m no expert on ancient Greeks, but the Spartans seem like they are the fundamental opposites of assassins. 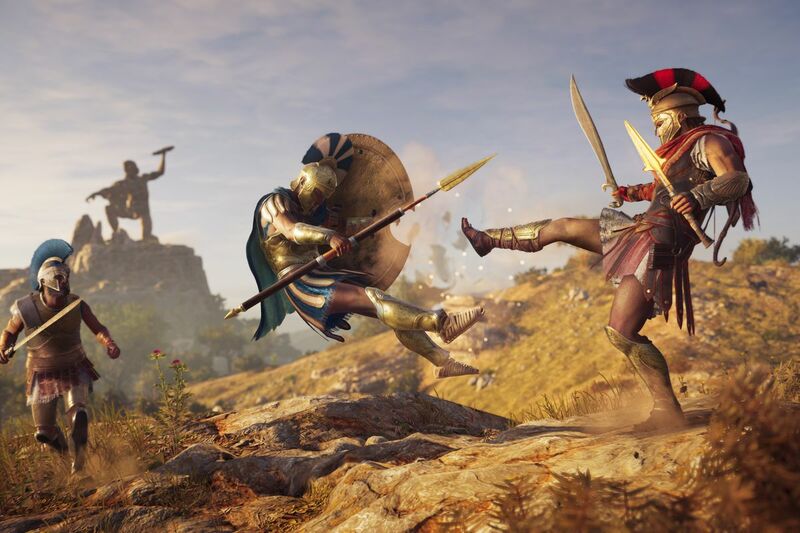 So we have a reveal that focuses on rugged countryside and frontal combat, no mention of assassins or creeds, and a protagonist from a culture that would deride such methods of those used in previous games. I realise that this is only the reveal and a lot more will be shown yet, but what exactly about Odyssey makes it an Assassin’s Creed game from what we have seen. Take away the focus on climbing and stealth and is it really the same game? Or does it become just another open world RPG without anything to define it?